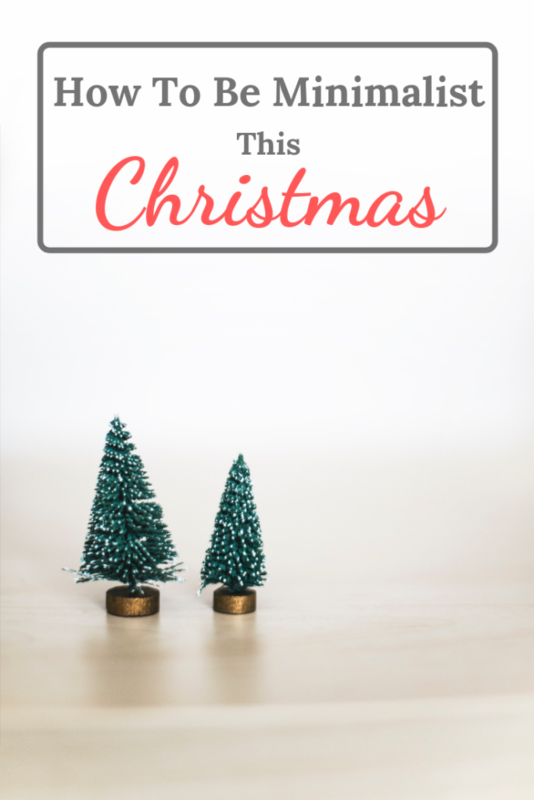 Do you find yourself getting overwhelmed in the Christmas chaos? Do you feel like you’re under pressure to shop and buy more and more ‘stuff’? I’m totally with you! With all the advertising that bombards us and our kids, there’s no escaping the consumer hype in the run-up to Christmas. It seems to get more crazy every year. What would happen though if we just said NO? What? Yes, we can absolutely say no, enough is enough! 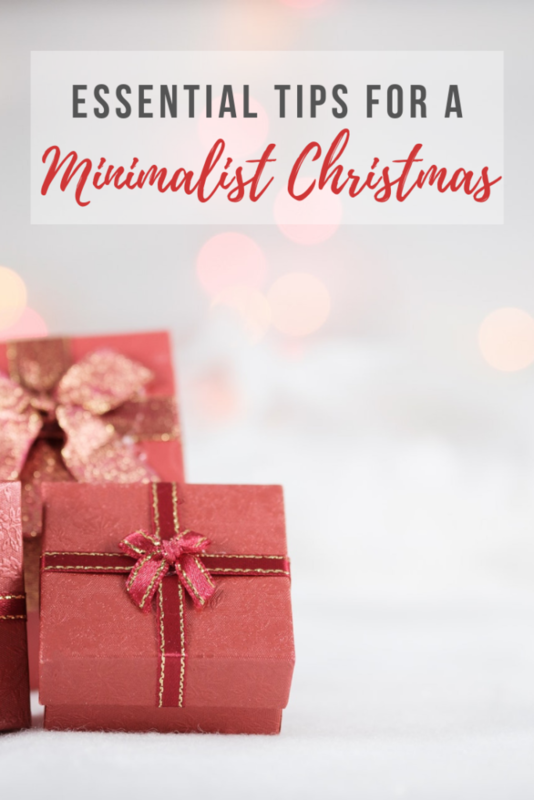 Read on to find out how you can enjoy a more minimalist Christmas and avoid the stressful circus that it has become. We all love to give and receive gifts, don’t we? Christmas morning just isn’t the same without a huge pile of beautifully wrapped presents under the tree. That’s what it’s all about, isn’t it? Well…no, actually! We seem to have become a little greedy, and the focus of Christmas has shifted as we have gotten caught up in the hype. It has become all about spending and buying stuff that we don’t really need. I’m sure we all have bits and pieces gathering dust at the back of our closet from last year. How about we go back to basics and try to focus on what this time of year is really about? In other words, relaxing, laughing, unwinding and spending precious time with our loved ones. We don’t need to do away with gifts altogether, rather we shouldn’t be quite so excessive. How about trying to be a little more mindful with our gifts? It would be so nice to reduce clutter, reduce spending and not start the New Year with a bunch of debt. What about that empty feeling after the initial thrill of opening our gifts? That’s not part of the deal. Moreover, we’re left with an insane amount of packaging and waste that’s not good for the environment. We need to focus on quality, not quantity. If we give and receive in a more meaningful way, we should be able to prevent some of this, and leave more time for joy and celebration. Many gifts we buy, especially stocking stuffers, end up lost, broken or forgotten. Wouldn’t it be great to give the gift of a memory instead? Not only will this decrease clutter, but it also lasts forever. There are many types of experience you could give; it could be a wine-tasting experience or a restaurant voucher, a fitness or cookery class. Not only will the recipient be creating a wonderful memory, they could also be learning a new skill. And to top it all off, there’s little or no packaging! One such company that offers experience gifts is Great American Days, but there are many more. In order to save some money, you could gift your TIME – take a friend for a walk or invite them over for a coffee, or a glass of wine. You could do a good deed for someone such as babysitting or shoveling the snow off your neighbor’s drive. You could even get creative and make a ‘gift voucher’ that says what you will be giving them. You’ll be amazed at how much people will appreciate this! There are many options nowadays for green or eco-friendly gifts, especially online. As we try to move away from plastic waste, and ‘single-use’ items, there are various companies that offer products to help with this. For example, you could give someone a fancy re-usable water bottle such as S’Well, so they don’t need to keep using disposable plastic bottles. Metal straws, such as these from Crate and Barrel make cute and inexpensive presents that are helping the environment! There’s a company called Bee’s Wrap that makes sustainable food wrap, which saves us constantly using plastic bags. This is just a handful of ideas for eco-friendly gifts, but there are plenty more! A great trick to reduce wrapping waste is to wrap your gift in something that’s part of the gift. For example, you could use a scarf or tea towel, or a reusable tote bag. If you do have to use wrapping paper or a paper bag, try using recycled where possible. A newspaper is an inexpensive and unique material to wrap with and can look pretty with some brightly colored ribbon. When you receive gifts that are wrapped in Christmas paper, try and restrain yourself from ripping it to pieces (I know it’s hard!). If you are delicate with your unwrapping, you can save the paper and re-use it another year. We shouldn’t feel guilty for scaling back on our gift giving, as it really can get out of control. As much joy as it brings us to give, we don’t need to buy something for every single person we know. Secret Santa is a popular way of exchanging gifts as a group, be that in the office or at a family get-together. Everyone pulls a name from a hat, there’s a price limit so everyone spends the same amount, and everyone receives one gift. Super minimalist! Alternatively, a smile, a hug, chatting over a cup of coffee: these are all equally wonderful and appreciated. If you do feel the need to give something, try baking some yummy holiday cookies, these will always go down well and are clutter-free! They certainly don’t end up at the back of a closet gathering dust, in fact, they are likely to be gone before the end of Christmas Day! If you find it difficult not to get caught up in the spending furor, but still want to buy gifts, simply avoid going to the mall. It’ll do wonders for your stress levels. Try shopping online instead. Amazon Prime is always a popular and easy choice, and Etsy is great for unique and personalized gifts. To save yourself time and energy, you could always give a voucher as a gift, especially if you know their favorite store. That way, they will be able to buy something they need and you know it’ll be used, rather than being forgotten. A clever and different idea is to give a ‘One Less Gift’ certificate to someone special, similar to this one. You are essentially letting them know that you have everything (material) that you need, and maybe you could find another way to enjoy the season together. Instead of signing up for everything and over-scheduling, make some time for yourself and your family. It’s okay to say no to a Christmas party and spend the evening with your family snuggled up in front of the fire with a glass of wine and a holiday movie. If you are cutting down on giving gifts to your family, do fun things together instead. Make wonderful Christmas memories by going ice-skating, going to a tree-lighting ceremony, singing carols together. These memories last a lifetime, unlike a cheap plastic toy that is the so-called number 1 bestseller! It could be challenging explaining to your children that they will be receiving fewer gifts, so maybe that will be a gradual process over time. Start to open the lines of communication and explain to them about giving in other ways. Take them out during the holidays to volunteer and help those less fortunate. They will very quickly realize how lucky they are and be much more appreciative of what they do receive. Instead of keeping boxes of tired, dusty plastic decorations in the attic, year after year, try a different approach. Get rid of the decor clutter and turn to nature for a little help. There is so much outside that you can lay your hands on that will make beautiful decorations. You can place fallen branches in a vase and drape with a few twinkly lights. Gather some pine cones and spray them white, gold or silver for a festive centerpiece. 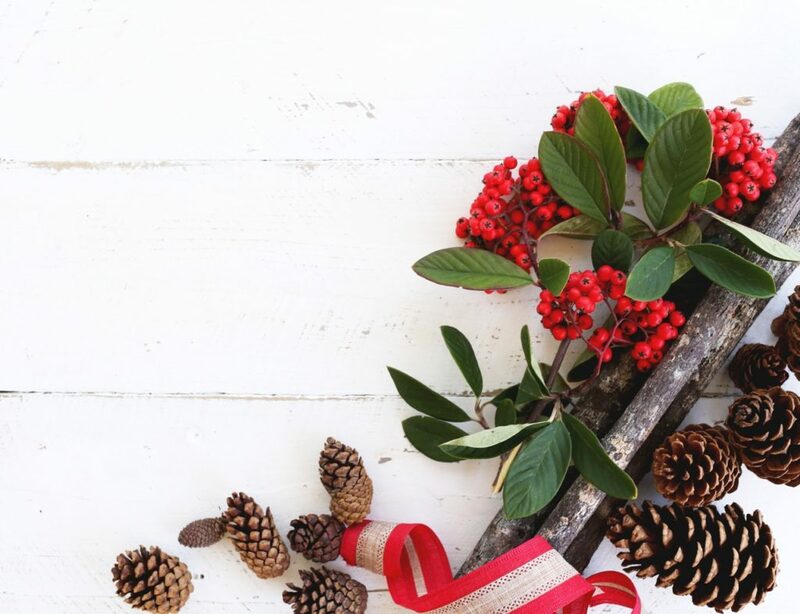 You could make your own wreath with holly, rosemary and bay leaves. Add a few bright red berries for a festive pop of color! So you can see there are many ways we can cut down and scale back without sacrificing the magic and wonder of the holiday season. 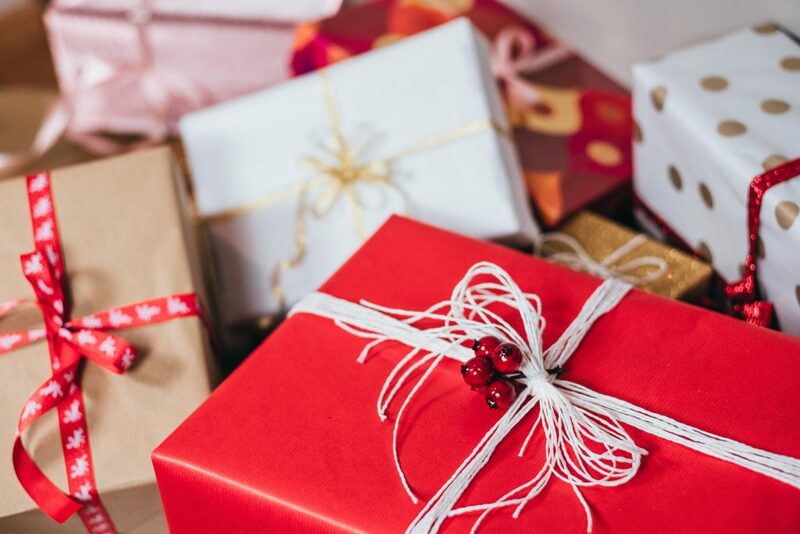 Giving gifts in a more meaningful way can help eliminate the clutter and waste but not the joy. We all need to slow down and enjoy ourselves, focus less on the ‘stuff’ and more on the important things like time, health and family. We might even save Santa a few bucks in the process! 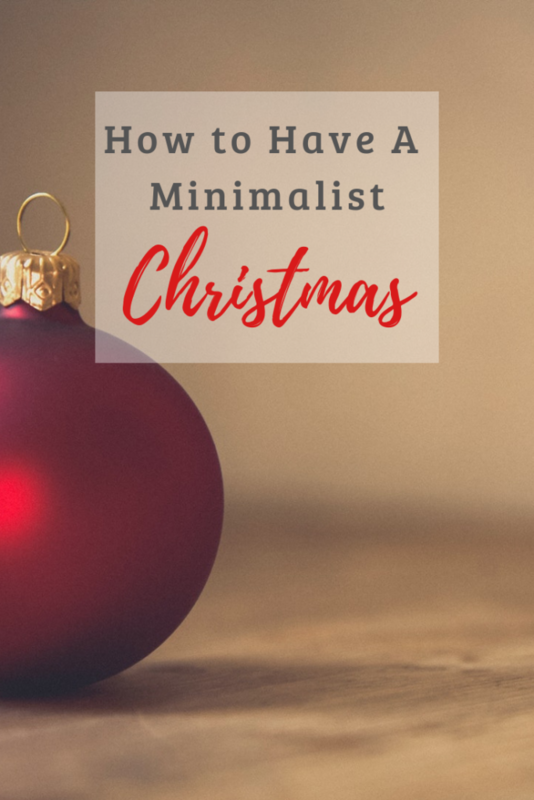 Hopefully, these tips for a minimalist Christmas have given you some food for thought. For more info on being prepared for the holidays, check out my blog post for a few ideas.